Austin Mahone is SWN's Favorite Rising Artist and Favorite YouTube Star of 2011. Austin Mahone gets two awards from SWN's for his talent and huge fan base on YouTube and Twitter. The teen has used his vocals and cute teen boy charm to create his own Mahone following. Austin has that star quality that made Justin Bieber a teen idol. All he needs now is a record deal and he is on his way. With over 4 million views on YouTube, Austin's cover of Justin Biebers new single "Under the Mistletoe" is surely getting noticed. 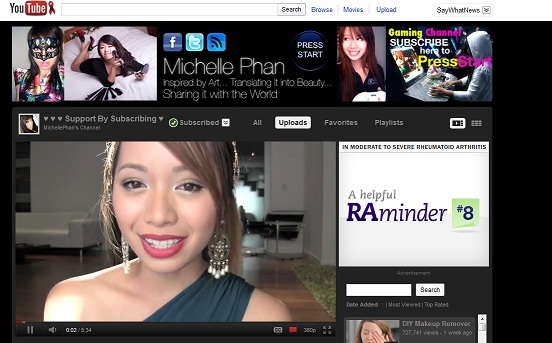 Michelle Phan's YouTube channel is SWN's Favorite YouTube Show of 2011. With over 80 million channel views and over 500 million upload views, Michelle Phan teaches/informs us about make-up. The model is also a spokesperson for Lancome. Michelle keeps her tutorials fresh, fun and interesting as she provides news on all things beauty. Nicki Minaj is SWN's Favorite Hip-Hop Artist of 2011. The female rapper has been taking over the rap scene since her debut. With her out there/colorful style, Nicki makes the craziest outfits look chic and fabulous. And when she is on the mic, Minaj takes control and does it like no other. Bossip.com is SWN's Favorite Celebrity Blog of 2011. Bossip provides all the celebrity news and gossip along with keeping you informed of some of the strangest and hilarious worldwide news. 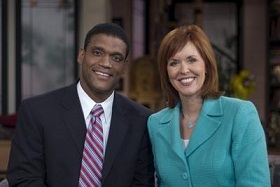 Fox 19 Rob Williams and Sheila Gray are SWN's Favorite Local TV Personalities of 2011. This wonder reporting duo report the news with flair, style and sometimes humor. We just love it when they do a food segment together. Rob always licks his fingers because he loves to eat and Shelia adds to the moment by sometimes making fun of Rob. Thanks guys for keeping our morning news so entertaining and interesting. 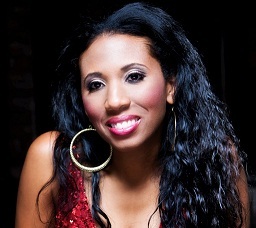 Dawn Woods is SWN's Favorite Local Talent of 2011. When Dawn hits the stage to perform she takes control with her vocals, her moves and her style. Her performance is top notch and truly entertaining. Genuinely Different::The Voice of Dawn Woods as she presents::Capture from Kolade "Mr K" Adeyemo on Vimeo. Kiss 107 FM's Jordan and Joey are SWN's Favorite Radio Duo/Team of 2011. Its nothing like being entertained with jokes, gossip, news and great personalities early in the morning while driving to work. Jordan and Joey are never boring. From 6am - 10am you can listen to the duo on Kiss 107 FM radio. Lady Gaga's multi-platinum selling album "Born This Way" is SayWhatNews Favorite Album of 2011. The beautiful and talented 'Momma Munster' won this hands down. Gaga's amazing writing skills provided one hit after another and her amazing Pop vocals had us all singing along. Lady Gaga is FABULOUS from her fashions to her songs. We love you Gaga!!!! !